Over 1 in 7 adults … with elevated risk for cardiovascular disease are not correctly identified by today’s clinical intake practices  until now. After 25 years of research, the American Heart Association and American College of Cardiology now support the measurement of Pulse Wave Velocity (PWV) to assess arterial stiffness together with traditional risk factors to improve cardiovascular risk prediction. PWV is the next vital sign. 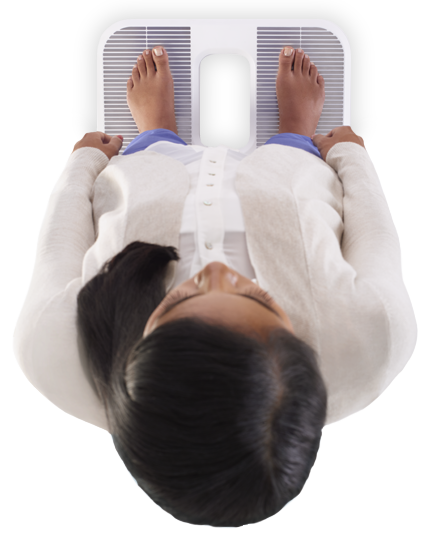 The world’s first FDA-cleared scale-based PWV device. 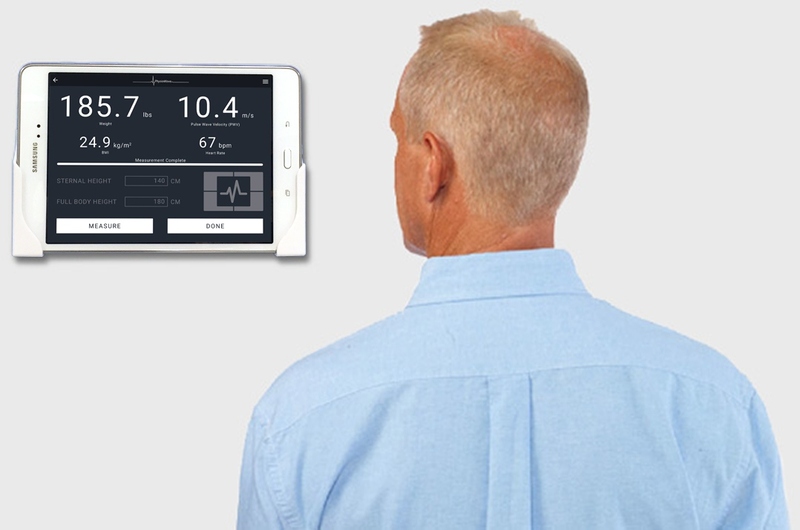 PhysioWave receives FDA clearance for its PhysioWave Pro™ cardiovascular analyzer. 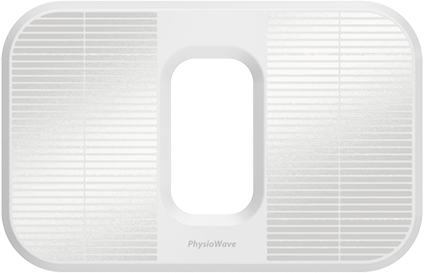 PhysioWave Pro™ delivers clinically accurate PWV data with no appreciable change to your patient workflow. 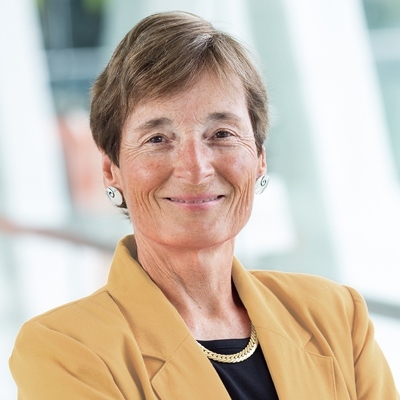 CMO, Judith L. Swain, M.D. 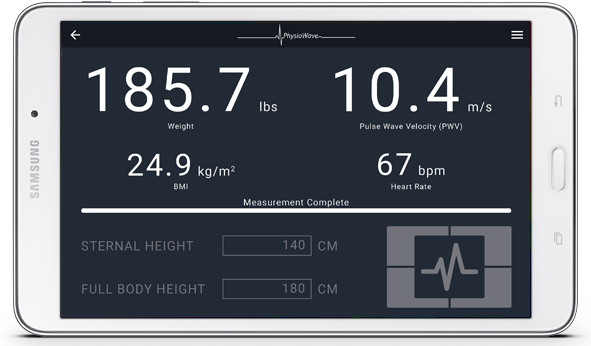 Designed to provide clinically accurate measures of pulse wave velocity, pulse rate, bodyweight, and BMI in under a minute. User interface optimized for fast-paced workflows.